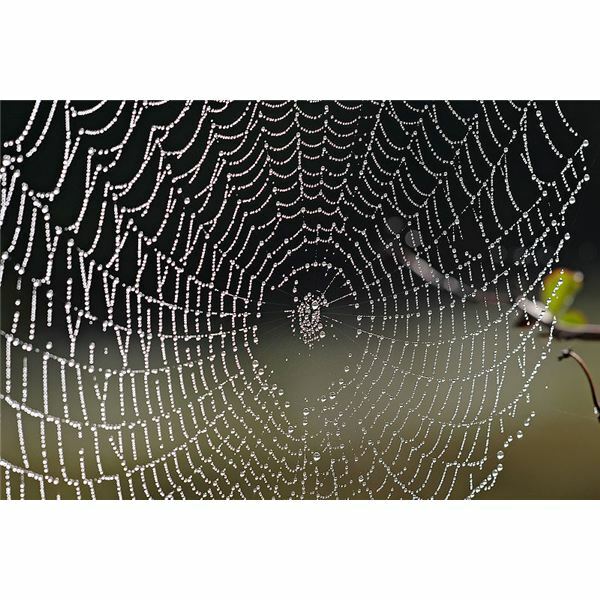 Place a picture of the spider web somewhere in the circle time area. As the children come to the circle time area, have them try to find the hidden spider web. Once it is found, have the children sit around it. While sitting around the web, place bug stickers on the floor. Have the children choose a bug sticker and stick it onto the spider web. Provide each child with a black piece of construction paper and a small amount of white paint. Give each child a piece of yarn at least 4″ long. Instruct the children to dip yarn into the paint and sweep the string in a back and forth motion, creating a web design. Before the paint dries, sprinkle glitter over the web. On note cards, draw a series of shapes, give each child at least five cards each. Instruct the students to trace each shape with liquid glue. Children should cover the glue with yarn. Ask the children to describe a spider. Record descriptive words on a chart. Note – Answers will be used for a project in tomorrow’s lesson, so be sure to save the words! If possible, have a live tarantula in a jar for the children to closely examine. Ask children to describe its looks, movement and its size.